Yum! Brands, Inc. also known as Yum was established in 1997 as Tricon Global Restaurants, Inc. It is a Fortune 500 Corporation that has operations in Wing Street, KFC, Taco Bell and Pizza Hut. Before 2011, the company has owned A&W and Long John Silver's restaurants. It is the biggest fast food operator throughout the world in terms of locations as it has over 37,000 stores in nearly 120 countries. As per 2011 report, the company had overall sales of over $12 billion. The report also stated that it had 466,000 employees. In late 2011, the company sold several A&W burger stands and root beer with Long John Silver's seafood outlet to two different buyers. Affiliates, licensed operators and franchisees operate nearly 75% of its restaurants. There are currently 0 consumer reviews about YUM! Brands, Inc available. Share your review. Please take a note that you are about to post a public review about YUM! Brands, Inc corporate office on CorporateOffice.com. This review will be public, so please do not post any of your personal information on this website. 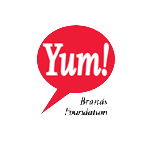 If you would like to contact the corporate offices of YUM! Brands, Inc, please use their contact information such as their phone number, website, and address listed above to contact them. However, sometimes staff from YUM! Brands, Inc headquarters do read the reviews on this website.